All reviews are the subjective opinions of third parties and not of the website or its owners. Reviews are placed by members of the public that have held a function or event at South Gosforth Social Club. 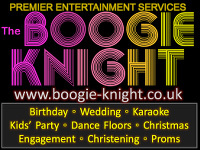 At needadisco.com we only accept reviews from confirmed clients that have booked a DJ to play at South Gosforth Social Club via our website, with the arrangements independently verified by both the DJ and the client before the event takes place - no "fake reviews" here! Helpful information for DJs and entertainers visiting South Gosforth Social Club provided by trusted members of needadisco.com. PARKING: Very small car park with room for no more half a dozen cars at the side of the club. ACCESS: Reverse up to the double metal loading doors at the rear of the car park and carry the gear through and up four wooden steps onto the stage. FACILITIES: There is a high, full width stage suitable for the largest of rigs with plenty of sockets at the rear of the stage. STAFF: Great staff. Opened the loading doors, gave us timings, etc. Last orders 22:50 with music off at 23:10. PARKING: Access to the parking is narrow and so long as your early you can get next to the main hall side doors. If not you should get parked close. ACCESS: Not the worst but also not the best. Two outer doors hold open nicely, but a lot of chairs inhabit the fire exit and there are steps to the stage. No cart could be used. FACILITIES: Pretty decent stage area, with nice sidings for the speakers. Its deep and wide enough for a band so a disco is no problem. Power is local and easy. Access for the public is a bit out the way and its too high for leaning down. STAFF: Woman who ran place and bar staff fine, didn't give me much time to get packed and out however. ADDITIONAL COMMENTS: "Its a nice little club and the room scrubs up well, decent size dance floor and good amount of seats." Information is based on enquiries and bookings handled via needadisco.com so whilst it's a great insight, if you have any questions or concerns about holding a function or event at South Gosforth Social Club please contact the venue. South Gosforth Social Club has previously been hired as a venue for private parties such as birthday celebrations, anniversaries, engagements etc. South Gosforth Social Club has previously been hired as a venue for functions and events such as sports club social evenings, masonic events etc. South Gosforth Social Club is in our Sports, Social & Members&apos; Clubs category. The map below shows other local venues in the same category. 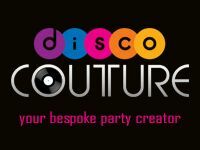 Get FREE no-obligation disco quotes from Disco Couture and other DJs covering your venue. Take 2 minutes to fill in some basic details and we'll do the rest!